This cemetery, administered by the City of Edmonton, is located north of Saint Anthony Cemetery. 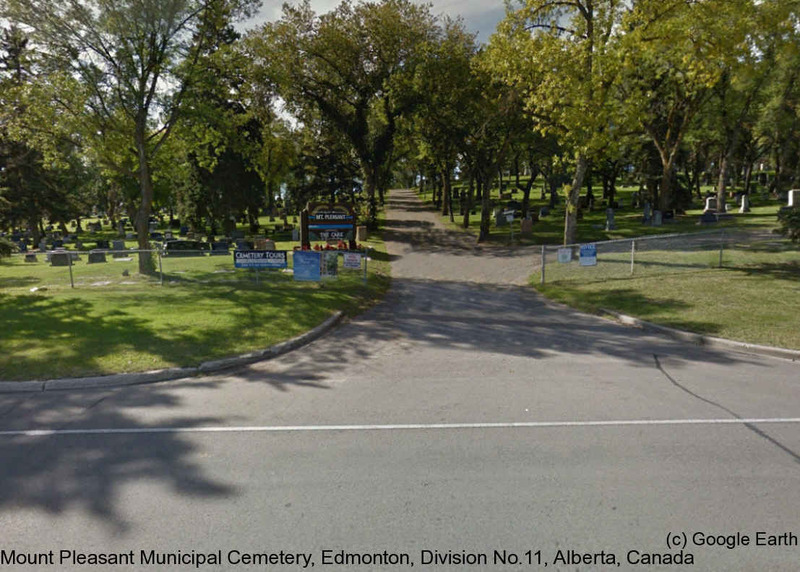 Mount Pleasant Cemetery sits on one of the highest land points in Edmonton. Originally an advantageous look-out for native people, this hill-top graveyard commands a view of both the south-side and downtown. Burials at the cemetery began well before the 20th century making Mount Pleasant a truly historical cemetery. Many prominent members of the community are interned here and their markers help tell the story of Strathcona's roots and reflect the turn of the century boom town.